Hey Everyone, Last month I shared several Card Making posts. 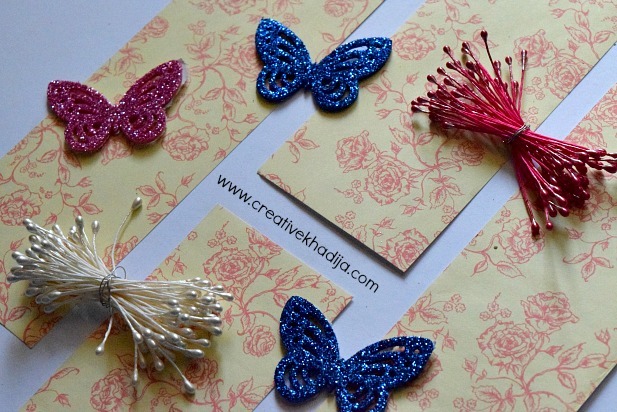 Do you remember I’ve shared a tutorial of creative & easy way to make business cards at home? 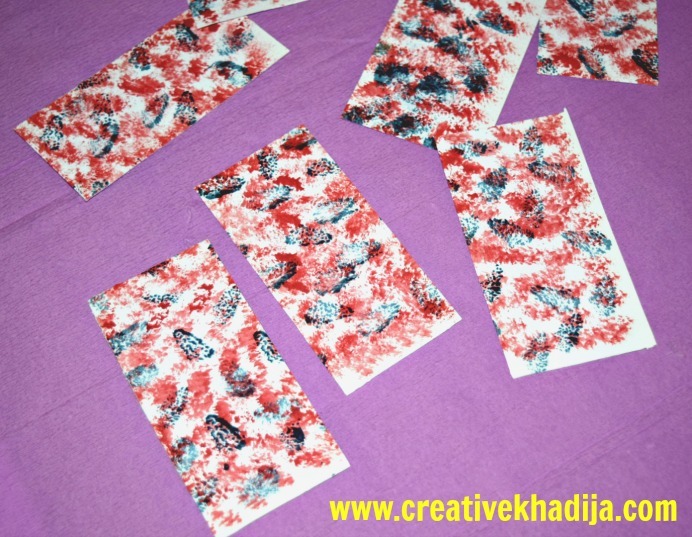 I am glad to know you friends liked that idea of easy business cards making with washi tape. 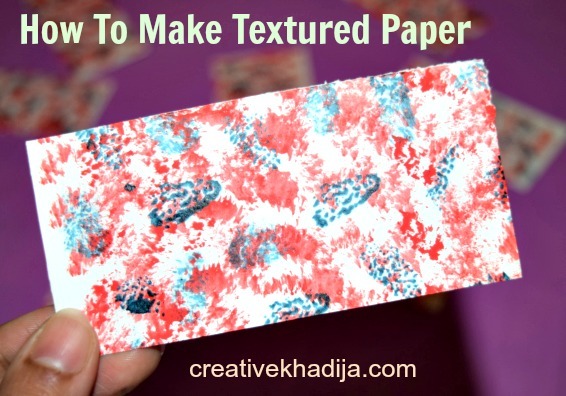 Today again I will be sharing a fun idea with you how you can make a textured base of any card for making creative greeting cards or making art piece for any kind of paper crafts. Basically this is one fun idea! I were working on a glass paint project & before cleaning my paint brushes with the thinner liquid, I applied these paint brushes on a textured sheet of my sketch book. This is how I clean my paint brushes as well as tried a fun technique of making texture with paint brushes. First I started cleaning my paint brushes but later when I saw the result is not bad, I tried dipping brushes again in the paint bottle for making these fun textured cards! Simply give rough strokes of the paint brushes. Fill the sketchbook sheet with rough strokes & then start cutting it with a simple scissor or a zigzag one! There are some fun possibilities as well. As the blue color was dark that’s why the writing text over here isn’t much attractive. The texture paint colors should be in dim & lighter tones. As I were cleaning the paint brushes & there were dark colors on my paint brush tips, So that’s as it is. But if you are planning to do something similar, Be sure to try dim & lighter color tones as the base color of card. So when you will put any text on it, You will have several options about the color. 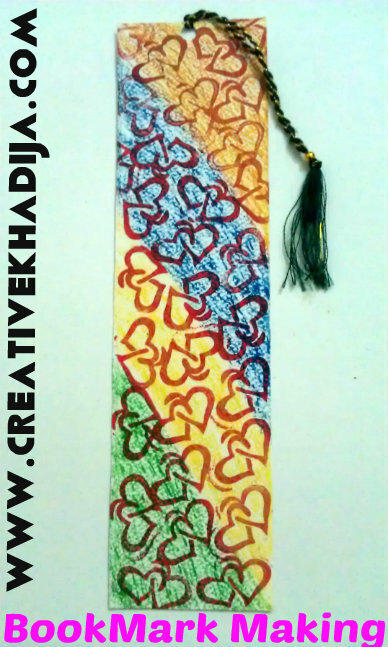 You can make bookmarks with this idea. You can design a greeting card. 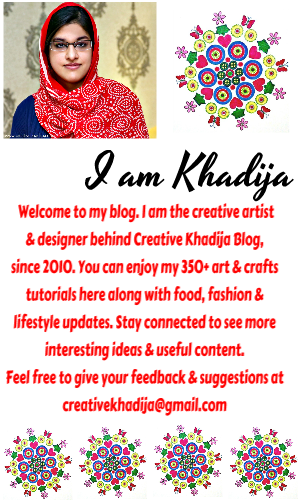 You can also try making a business card. You can create custom name tags as well. 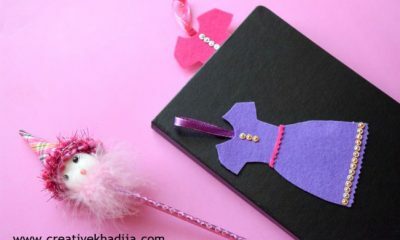 There are several options & ideas, You can try these for paper crafting & with any fine arts project. I hope you will like my today’s simple & easy idea about making the textured base for any greeting card as well as business card. Stay tuned, Have a great Sunday! Love the idea of using the paper for cleaning brushes in an art project! These little cut cards would be grat for a lot of things – maybe covers for a mini journal? Cute tute, K! With simple paint brush technique, you have made such a wonderful texture. Truly creative! Thank you Ranjana. It was a random idea which turned out well. Fun little project to do on the side! thanks for sharing on craft schooling Sunday! Thank You Pita, I enjoyed trying this! How fun! I can see how that would work for some original greeting cards! 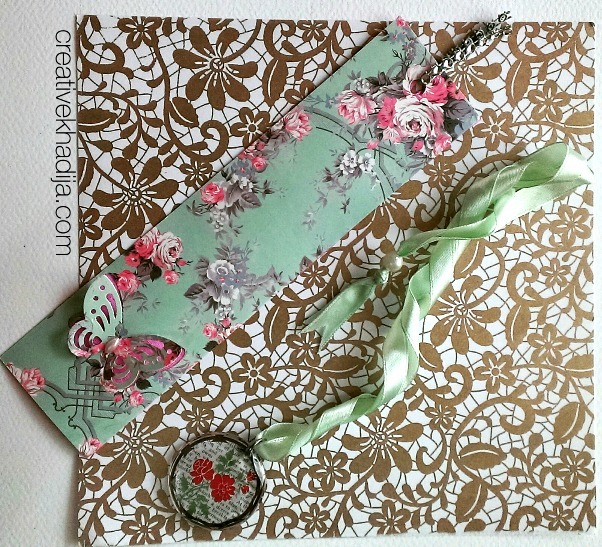 Thank you for sharing this at The Really Craft Link Party this week. Pinned!